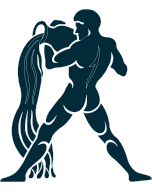 Born in Aquarius Ascendant which is the 11th sign in the zodiac, these natives are loyal, peace loving and intelligent and have independent creative viewpoints. They may remain annoyed with the behavior of others most of the time. Hard days in the life may not be ruled out. They may also be blessed with intuition power. Venus is the most benefit planets for these natives apart from Saturn. Here are general predictions for Aquarius born for 2018 based up on the Moon Sign and transit of other planets during the year. Specific predictions depend upon the placement and strength of planets present in the natal chart of an individual. Mahadasha and Antardasha period of particular planet in the chart also decide important events, bad or good, in this time frame. These predictions will work as guidance for the natives born with Aquarius as their Moon Sign including recommendations, precautions and few remedies to be taken in case you are running adverse time during the year 2018. At the beginning of year 2018, Jupiter will be transiting in the ninth house in Libra and will move to next sign on 11th October 2018. Saturn will be transiting in eleventh house in Sagittarius sign throughout the year. Rahu and Ketu will be transiting your sixth and twelfth house in Cancer and Capricorn signs respectively. This year may prove to be favorable for the matters related to family life. Misunderstandings will start diminishing and positive atmosphere at home will make you happy most of the time during the year. Help of friend circle and relatives will be available at the time of need. Effect of obstacles, failures and losses suffered in the past will start getting reduced. Religious journeys with family are also seen this year. Some auspicious ceremony may take place at home. You interest in religious activities will increase. Respect in social circle will make you feel cheerful. Married life relations will remain cordial during first half of the year but suddenly some misunderstanding may develop in the relationship. You need to control your aggressive attitude to make the married life run smoothly. However, you will be able to manage the situation. You need to take care during the months of November and December 2018. However, opinion of spouse in the matters related to finance or purchase of property may prove to be helpful and favorable. Lovers may find this year to give favorable results most of the time during the year. Try to avoid bitterness in the relations due to ego from May 2018 onward. Avoid unnecessary arguments. Consent of elders of the family will prove to be helpful in finalizing the marriage proposal. Any important decision should be taken before November 2018. Professional life will give favorable results. Seniors will be happy with your performance. This is the proper time to claim your promotion, if due. Colleagues will also be helpful. Rivals will be defeated. You may get higher status which will be helpful in improving financial position. Last two months of the year namely November and December 2018 may cause some problems in professional life. Having cool and patience approach at workplace will give more positive results. This year is positive for the matters related to finance. From beginning of the year to month of May 2018, the results may be more favorable. In spite of flow of money, expenses may go high after May 2018 and financial position may not remain much stable. You need to control heavy expenses on pomp and show. You may also like to invest in immovable properties which will prove to be profitable. Health will remain sound most of the time. Restlessness may cause insomnia after first half of the month. Also take care of your digestive system and acidity problem. Some minor injury is also possible after May 2018. Students may find this year to be most auspicious. They will be able to get success in competitive examinations. Concentration level will be high. They may remain active and confident. Saturn transit will give positive results for the matters related to finance and professional life. This is good period for overall prosperity in life. You should worship Lord Hanuman daily. Precautions: You should be careful during second half of the year which may create some financial worries. * Planetary position is supporting you much this year. * Jupiter transit is favorable this year. * Perform the remedies of Ketu.